You will be credited in our website where will appear your name attached to your e-mail or your website. It will be perfect for promoting yourself and it is going to be there forever. All of the above + Monthly newsletter via email with the state of the project. In addition, we will pay attention to your suggestions and we can even modify our plans in order to apply these suggestions. All the above + optical, mechanical and electronic components used to build the prototype. They will be sent directly to your home among explanations. Due to sending costs this reward is only available in Spain. For other countries contact us and we will find a solution. All of the above + you will be able to test our exclusive prototype, give your opinion and make suggestions about it. You will be the first to test our light therapy. All of the above + you will also have the possibility of co-working with us in our office or through Internet. Everyone who helps in the developing process will be added to the developer credit list in our website with the information corresponding to his contribution, which is good for their CV too. All of the above + visiting our laboratory, documents, equipment and meet us personally. All of the above + having the opportunity to visit one of the world’s most advanced center of supercomputation. All of the above + Visit to center CIM where I+D+I projects are being made: prototypes and fabrication. It is the place where we would like to implement some of our prototypes. All of the above + you will receive a Pho-Tone with all the accessories in your home and guidebooks before its launching date. We will add some exclusive content for you. All of the above + exclusive and specific publication about the project and its test results made on a determined sample of population. Todo lo anterior + Se realizara una conferencia divulgativa para todas las personas que han invertido en el proyecto. 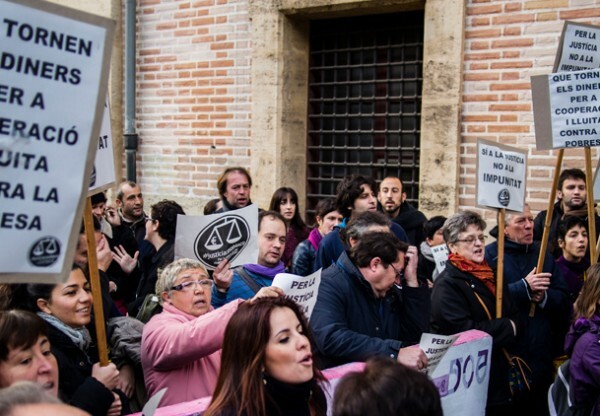 Posibilitará a todos los contribuyentes entender los mecanismos de diseño que se han adoptado para el proyecto. All of the above + the apparition as a VIP patron in a website section or in the publications, events and communications made. We will give visibility to your organization through logos and small texts. Contact us to discuss it. All of the above + the Photone’s name will be changed for one of your choice, either the name of your company or the name of someone important to you. This product is designed to be produced in big amounts so donation is more alike to an inversion. Stimulating headset that lights the brain through the ear canal and releaves depression, jet lag or insomnia. Selection, purchase and manufacture of optical, electronic and mechanical materials (especially transducers) and mechanical structure of headsets. This is the most relevant task. Structure allows to assemble the audio system with the luminic system inside a headphone. Sound and light must cross the ear cannal simultaneously. 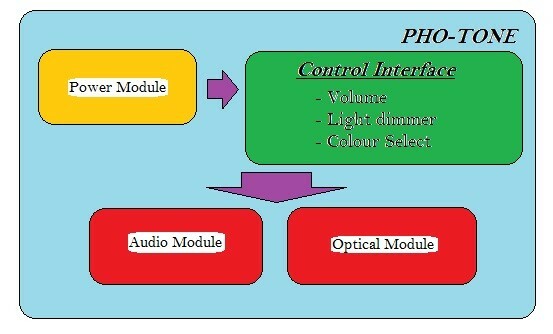 Design of the electronic system, which will control power and colour of the light beam. We need to face expenses associated with all the crowdfunding campaign. We want to develop a good engineering product, but it must have an attractive design as well. Before lauchin our product we need test the quality of the sound, light and ergonomics of the final product. Production of final product (namely rewards for funders): 3-D printer, materials, printed board circuit, etc. Covering the cost of production is crucial. Once we finish the mechanical design of the headsets we will need to build a prototype with 3-D printers, expensive materials and also the printed board circuit. A good-looking and functional website is crucial to explain our project and reach our target group. We need to make a research to find the best factory for production and shipping and also a marketing campaign. In order to produce hundreds of units of this product we need to cover the cost of the mould, materials and quality assurance. Each colour (wave lenght) has a different effect on the brain. We want to give users the possibility to choose their colour, not only white. We have designed a pair of stimulating light headphones in order to treat anomalies such as depression, insomnia or jet lag. For how long you would have to use them? Only for 8 to 12 minutes per day would be sufficient. 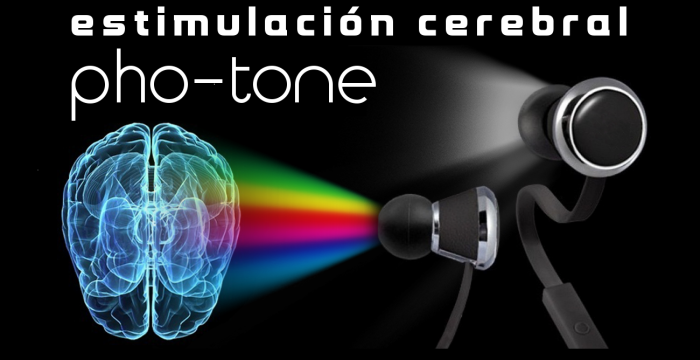 Moreover, they will allow you to listen to music at the same time as if you were just using regular headphones. Recently, scientists have discovered that some specific brain areas are light sensitive. Lately, it was commonly believed that the only way the light could go through us was through the eyes by the usage of light treatments consisting of looking for one hour daily at a powerful white light focus. This is not only boring, but can also be harmful both for ourselves and for the environment due to its high electricity consumption. Taking that into consideration, we would like to substitute this treatment for ours, so a 8 12-minute non-aggressive light exposure per day. There have not been described any spillovers in the clinical trial because the light used is low powered and this is not harmful for the ear canal. In that way, the light produced in the ear canal has the same effect on as the sunlight in the optic nerve. 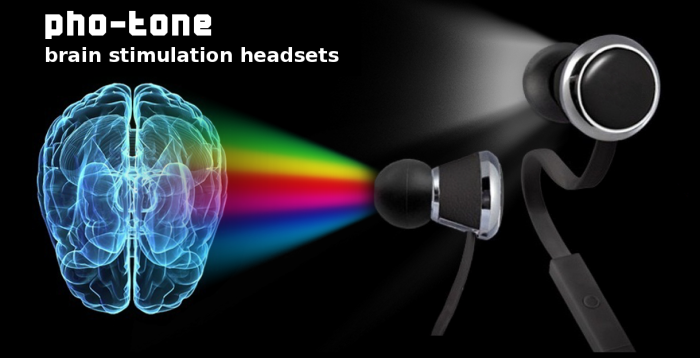 We are willing to develop headphones which are able to illuminate the brain using light of a range of wave length (colors) that will depend on the treatment we would like to apply. The most common treatments will be, at first, with white light or white light with a little blue tint. Nevertheless, we would implement more treatments if we have the opportunity. However, we will try to go further by adding music with sound quality into the headphones in order to make this treatment more pleasant and enjoyable. In addiition, we will-need to solve the problem of light and sound go through the same canal. Light devices can block sound waves and that is where our engineering solution comes in. The costs described in the project take into account each step of the development cycle in order to elaborate a prototype, as well as possible trouble that could come across as the work progresses. The product will consist of a pair of earphones with a light source going through a fiber optic cable. The light beam will reach brain through the ear canal. We would like to test different LEDs and make them combinable with each other to emit light of different colors and therefore different effects on the brain. One of the biggest challenges is to implement a mechanical design in order to allow the user to enjoy music while doing the treatment. The light canal obstructs the sound and we have thought about an engineering solution that will enable us to bring the light in the ear and at the same time open some space for the sound. The power supply will be a light lithium battery or maybe connecting the earphones to a mobile with USB OTG. The system will consume low energy. The battery or the device used as energetic source (mobile, computer, etc.) will be little affected due to power cosumption. Although people who suffer from any kind of sickness that originates in the brain or lack of regularity in the hours of light will be the ones who will be the benefitial here, However, those who do not suffer from any brain sickness will be also able to improve their standards of life. The researches made recently in Finland have demonstrated that direct incision of light in the ear results in the segregation of serotonin in the brain. Serotonin is a neurotransmitter that affects the mood and the human mental state, so that the daily exposure to sunlight provokes the same effect. This is the reason why this product could substitute sunlight in terms of neurology. Our first goal is to design the necessary structure so that the optical and sound system fit in the same earphones. We ought to find adequate materials and make a fine, esthetic and practical design. The second one will be the design of the electrical system, which will allow us to control the kind of light emitted and also, allow a good coexistence with optic fiber. All of these will be assembled in a box with the system control interface as well as the external audio and charge connections. At the end a test will be brought out by a group of people who will check the proper functioning of the product as well as the effect on them. We need your contribution in order to develop the project entirely and the achievement of all goals. This crowdfunding campaign will enable the design and the fabrication of prototypes ready for the market. Industrial technical engineer specialized in industrial electronics by Universitat de Girona and post graduate in electronic engineering by Universitat Politècnica de Catalunya (ETSETB). In his thesis he designed one entire electrocardiogram system with oximetry through Bluetooth Low Energy. In addition, he is a professional musician and a specialist in terms of audio referring to electronics and processing of industrial signal. Electronic engineer by SASTRA University, India. 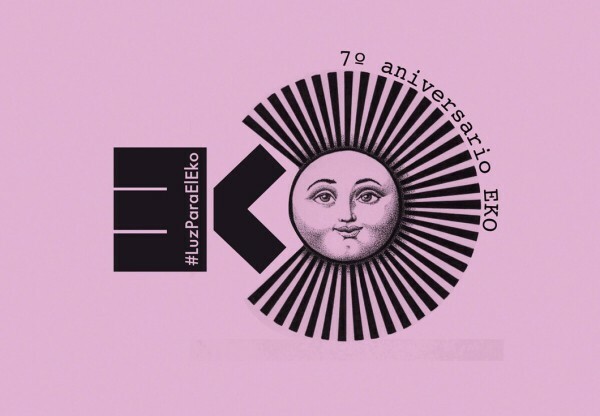 Actually finishing a MSC in Electronic Systems in Universitat Politècnica de Catalunya (ETSETB) and also working in international collaboration projects related to advanced software structures with logic design and debugging in FPGA. Community will have granted access to every system designed plan, and will be able to introduce improvements in the product in the future as well as experiment with them. Institutions requesting our product will be able to try this therapy on people. We will send Photone to institutions upon request. This product is designed to solve brain diseases and to stimulate the brain with a non-expensive device. Furthermore, this device is not as boring as it could be because the user will be able to listen to the radio or listen to music during his/her treatment. Anyone will be able to apply improvements in the hardware as well as experiment with it in order to create a derivative product. We need a 3D printer and electronic, optical, and mechanical materials. We need that you broadcast this project through Facebook (your wall, your groups, your friends, etc. ), Twitter and any other. We need motivated students to gain experience by developing parts and testing our product. Do you represent an enterprise or organization? Contact us for other projects! 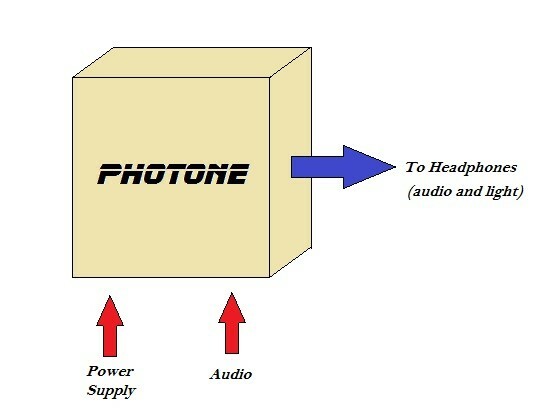 Besides Photone we are developing other electronic products. We also develop mobile apps: check out www.lingua2.net.